The DuoFlex-system saves many trips to the recycling site. The system offers people the opportunity to mix the waste in some combinations where it would be technologically possible to separate them again. Experience shows that the easier it is for people, the more will be recycled. And it is our experience, that the members of the public in the municipalities quickly learn the system and embrace it . 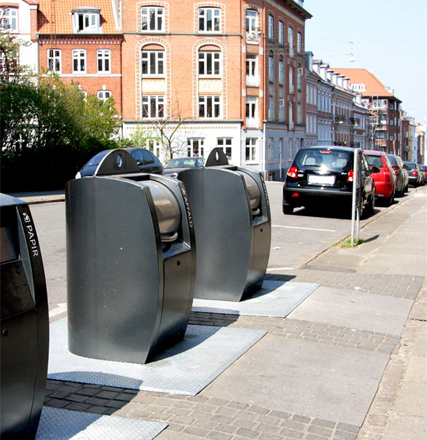 DuoFlex means collecting from both detached family homes and housing associations, different types of bins can be used: mini containers, mini bins, igloos, underground and maxi containers. By collecting even more recyclable types of waste at home in the household, including organic waste, it becomes dramatically easier for municipalities to achieve the goal of the Government Resource Strategy plan of 50% recycling of household waste .